The Hall will seat up to 120 people for theatrical productions, meetings etc. It is an ideal venue for functions and parties and up to 100 people can be seated at tables. We have a large Stage and good sized Kitchen, Toilet facilities include a disabled toilet. The Hall floor area measures 7 metres wide x 13.5 metres long. Adjoining the Hall is a Skittle Alley, linked by two connecting doors. This can also "double up" as a food layout area "buffet" style for larger functions." There is unrestricted parking in the road , a wide entrance gives vehicle access for "drop off" and unloading - conveniently beside the main entrance door. This "drop off" area at the main entrance is level and suitable for wheelchair access into the hall. An additional deposit (returnable on the hall being left as found ) of £50.00 is required by all BOOKINGS within the Village. ABBOTSHAM VILLAGE HALL WAS BUILT IN 1922 AND IS A REGISTERED CHARITY. ALL MONIES RECEIVED THROUGH BOOKINGS FROM CLUB ACTIVITIES, PRIVATE EVENTS AND ENTERTAINMENT EVENINGS GO TOWARD FUNDING THE UPKEEP OF THE HALL IN ORDER THAT IT IS PRESERVED, MAINTAINED AND REMAINS A CORE AMENITY FOR THE LOCAL COMMUNITY AND BEYOND. 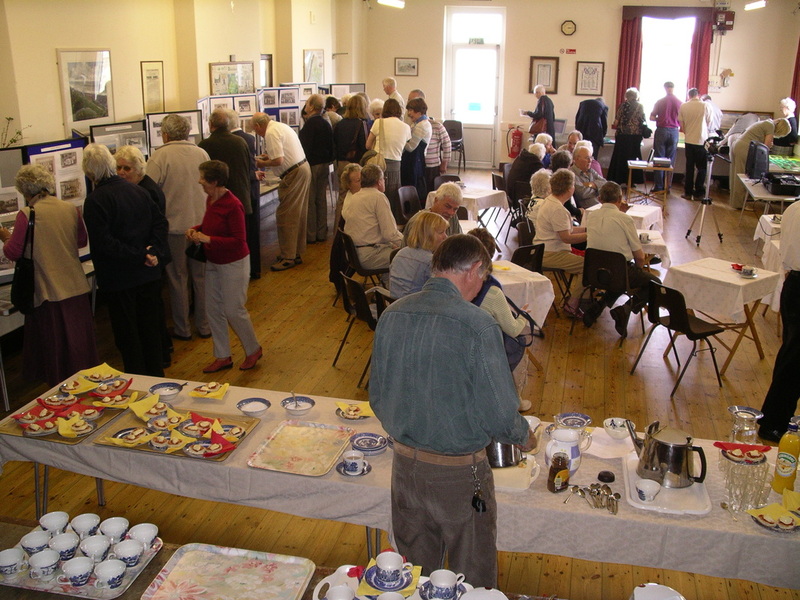 THE HALL IS SITUATED IN THE CENTRE OF THE VILLAGE OPPOSITE THE POST OFFICE AND CAN ACCOMMODATE UP TO 100 PEOPLE. IT IS IMPORTANT THAT WE ALL DO OUR BIT IN SUPPORTING EVENTS AND ENTERTAINMENTS WHEN THEY ARE PROVIDED. SO PLEASE SUPPORT THIS PIVOTAL PART OF YOUR COMMUNITY. Please click the links below to download the latest agenda and minutes for Abbotsham Village Hall Committee.